Lake Conjola Entrance Holiday Park took out the prestigious ‘Best Holiday Park on the South Coast’ for 2016/2017, and for good reason! Located an easy two-hour drive from Wollongong, this park has it all! Every angle is covered with absolute lake frontage, fast easy beach access and lush bushwalking trails. The campsite is also steps away from Green Island, a cheeky little E-SE facing wave, with the occasional barrel. The calm waters in the sheltered lake are great for families, swimming, kayaking or SUP boarding. The park has a playground and jumping pillow, BBQ areas, tennis court and a fantastic wheelchair-friendly boardwalk. It offers cabins, safari tents, and powered or unpowered campsites with exceptionally well-maintained amenities. Lake Conjola Entrance Holiday Park is definitely a winner, just ask the resident roos! Suited to: Everyone! Kids, couples, retirees, surfers, hikers or bird watchers – there’s something for everyone! Big 4 Bungalows Burrill Lake is nestled on the edge of peaceful Burrill Lake, a five-minute drive south of Ulladulla. With a mini-golf course, swimming pool, playground, kayak rentals and jetties made for jumping off, this park screams family holiday! The property itself is situated on 26 acres of manicured lawns, with uninterrupted views across beautiful Burrill Lake. 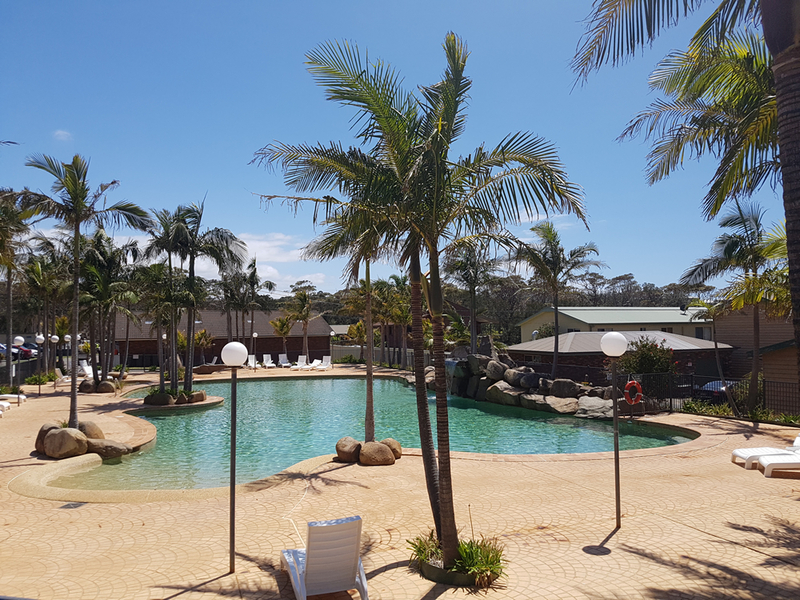 With a massive range of accommodation options from luxury spa lodges to ensuite campsites, the park caters to everyone from the seasoned camper to first-timers. Sandwiched between Ulladulla and Bawley Point, there are heaps of local surf breaks to choose from including the hefty Guillotines. If you're looking for something a little more chilled, grab some hot chips and head over to the fantastic Lions Park across the road. It has an awesome kids’ playground, BBQ area, cycle track and lots of little sandy nooks for setting up along the water. This park is a parents’ dream! Suited to: Families or outdoor enthusiasts. Green Patch Campground is located inside the Booderee National Park. Surrounded by native bushland with some of the most stunning beaches you'll find anywhere. For the surfers, Caves beach is close by, a sweet little right-hander beach break, or Aussie pipe is just down the road. For the fishing enthusiasts, put the boat in over at Murrays. For a more relaxed day, just roll out of your sleeping bag and set up for the day at Green Patch – a calm and tranquil beach within the turquoise waters of Jervis Bay. There is also lots of friendly locals to meet, including kangaroos, possums and hundreds of birds. The campground offers shower and toilet facilities and a picnic area. There are no powered sites, however there are power points in the amenities block. A well-appointed bush camping area with a five-star natural playground only minutes from the heart of the Vincentia township. Suited to: Those looking for an authentic bush camping experience. Merry Beach Caravan Resort is the ultimate in beachfront camping. Abundant in wildlife, you're almost guaranteed to spot kangaroos as they hop right down to the beach. Imagine sitting tent-side, hand feeding friendly birds as whales and dolphins frolic right in front you. You might even meet an echidna that roams the lawns. But the critters at Merry Beach are just the tip of the iceberg. There’s also activities galore! Located next to Murramarang National Park, the campground is surrounded by tons of great bushwalking trails. The park itself has fantastic facilities, including a swimming pool with toddlers’ wading pool, a brand-new playground, and kids’ activities offered during Christmas holidays. Chalets are available with pool or beach views, and campsites come powered, unpowered or with ensuites. Get in early for holidays because this park is definitely a family fave! Suited to: Families looking for a one-stop shop. 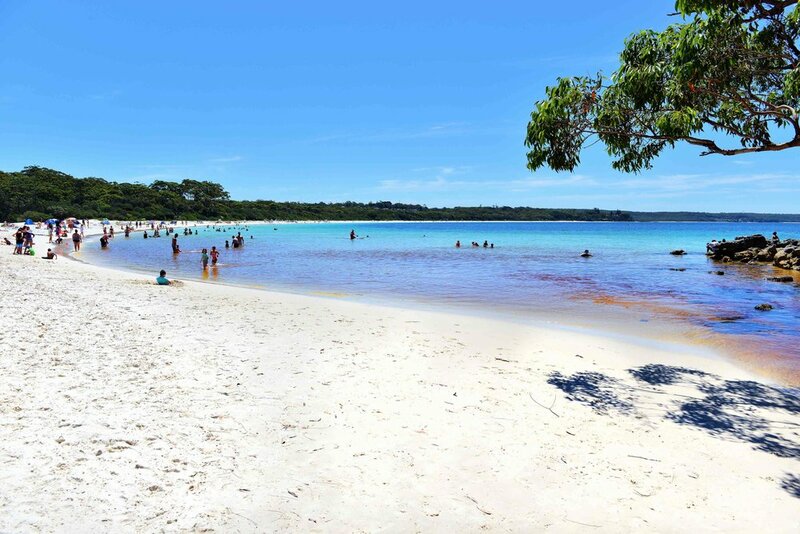 Huskisson Beach Tourist Resort is located in the picturesque seaside village of Huskisson. 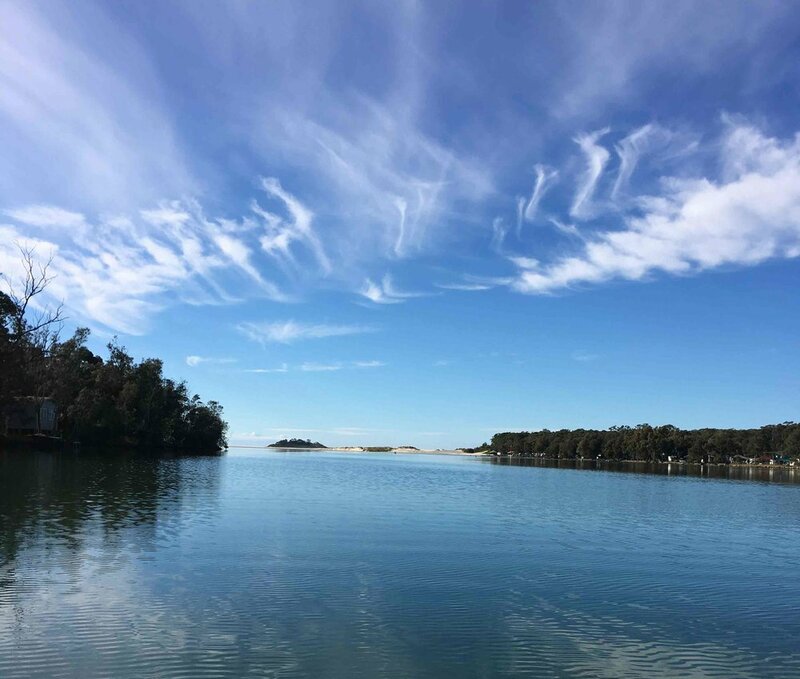 Situated steps from the white sands and pristine waters of Jervis Bay, you'll be hard-pressed to find a more ideally located campground. The park is also only a few minutes’ walk to the town centre where you'll find boutique shopping, fantastic local eateries and the famous Husky Pub. With endless outdoor recreation activities, choose from a day on the water whale watching, kite surfing, kayaking, SUP boarding, snorkelling or swimming, or stay on dry land exploring the cycleways and weekend markets. Stay in one of the park’s fully self-contained cabins, powered ensuite sites or in the shady campground. There’s also tons of facilities, including a swimming pool, tennis court, BBQ areas and playground. This is an absolute topnotch park and well worth a weekend of your time. Suited to: Couples or groups looking for a beach location with the convenience of a town close by.